I imagine somewhere a writer begins their day by exercising, perhaps some yoga, meditation and/or prayer, and then they sit in their leather desk chair, crack their knuckles, and type away, taking scheduled breaks throughout the day. My days rarely (never?) unfold like that. I do have a schedule of sorts. I stay up too late most nights and can't waken at 6:30 most mornings. For the last month or so, my husband Carl and I have not set an alarm. We wake up when we wake up. Sometimes it feels as if half the day is gone by the time we drink our morning coffee. And oh the things that can happen during the part of the day that's left! A few recent things--wasps stung Carl the other morning when he opened a screen door we seldom use. They'd built a nest right on the hinge of the door. He had over ten stings that I counted. Some had stung his head and since he still has a head-full of hair (yay, Carl! ), I couldn't count all the stings. I thought for sure that an emergency room visit was in our future. We found some Benadryl that was not expired, and he did not have any complications. He's a tough guy! And then we made two trips to Dothan this week, a little over an hour away from our house. We hope to build a house and that's exciting--or will be soon, I hope. We chose a floor plan and then modified it about 1 million four hundred and fifty-three times. I'm sure we'll be happy with the end result although it's often difficult to envision it. Another big change is looming. Carl has not worked for a year and a half. First he hurt his back and had to have surgery and then he was badly burned and still suffers some from that. Also, my mother was in the nursing home, and Carl was a huge support for me during that time. 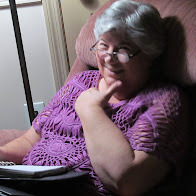 She passed away in March, three weeks after my brother. A job opportunity has come his way, and he's decided to apply for the job. On the one hand, I'd like for him to go back to work--it does help with getting into a regular routine. On the other hand, I've enjoyed having him at home. Possibly building a house, a possible new job for Carl ... and a few more changes coming our way. Yeah ... it will be a while before a normal routine becomes, well, a normal routine. However, sometimes a little boring is not all bad. And in writing news, Robbie and Taron was free today, climbing fairly high. Also, the next book in the series, Libby and Ander, is in pre-order, hence my longing for normal. By August 8th, I must have it edited, formatted, and uploaded to Amazon! I can do it, but the problem is having a few hours of uninterrupted time to do so. Click the picture above if you'd like to pre-order. Because of the busyness I find myself in at this time, I do need to make some concrete plans for the month of August. 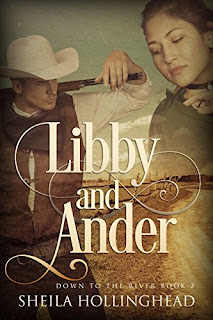 First and foremost is the publishing of Libby and Ander. It must be completed by August 8th since it goes up for sale August 12th. The second goal is to write the third novella of the series in August and to have a book cover made. It will be published in September. In September, I plan to combine the three novellas together and publish in paperback form. 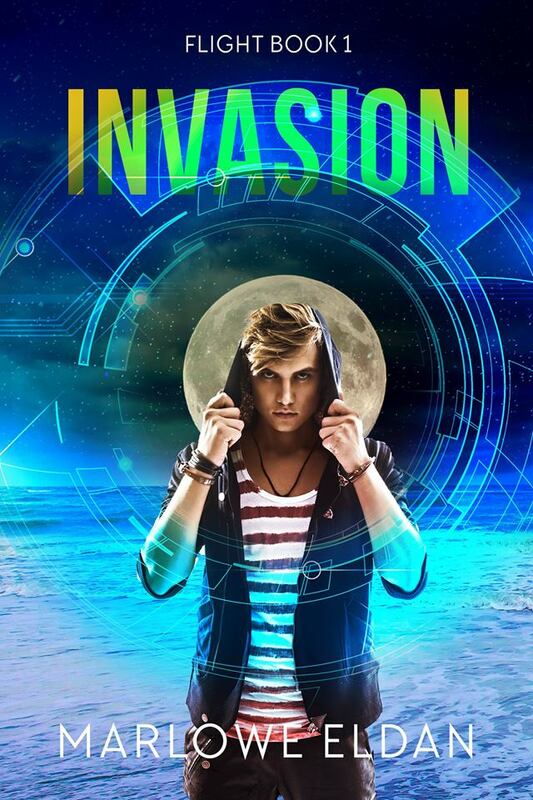 Also in August, I plan to write the first third of Invasion, a sci-fi/fantasy. This again will be a novella, perhaps 30,000 words or so. It should be ready for publication either at the end of this year or the first of next year. I will also continue working on Discovering the Woman's Biblical Role and will possibly publish it at the beginning of next year. This makes me tired reading back over it! We'll see if I reach my goals. 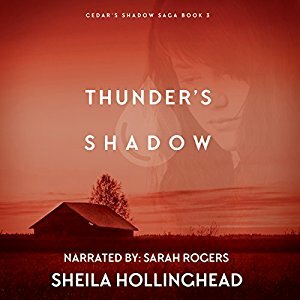 Thunder's Shadow now on Audio book! 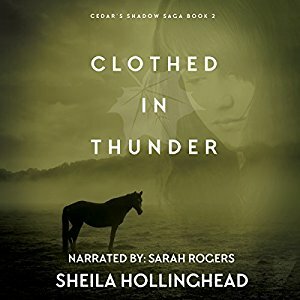 Three of my books are now on audio book. Yes, book covers are like designer shoes to authors--at least the authors I know. I can think of one or two exceptions. Most, however, are giddy when they catch their first glimpse, or if they hit upon the perfect creation--those who make covers themselves. I've been trying to come up with book covers for my Moonbow series written under my pen name. I worked with a designer but the design did not work for me. Now, I'm back to the drawing board, contemplating what to do for the cover. I do have an idea, and we'll see how that works. 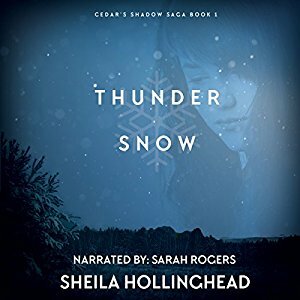 I now have book covers coming out of my ears and they're waiting for me to put the actual book, the words, between the covers. Book covers are a source of inspiration and also a source of joy--just like designer shoes ... for those folks who like such things.